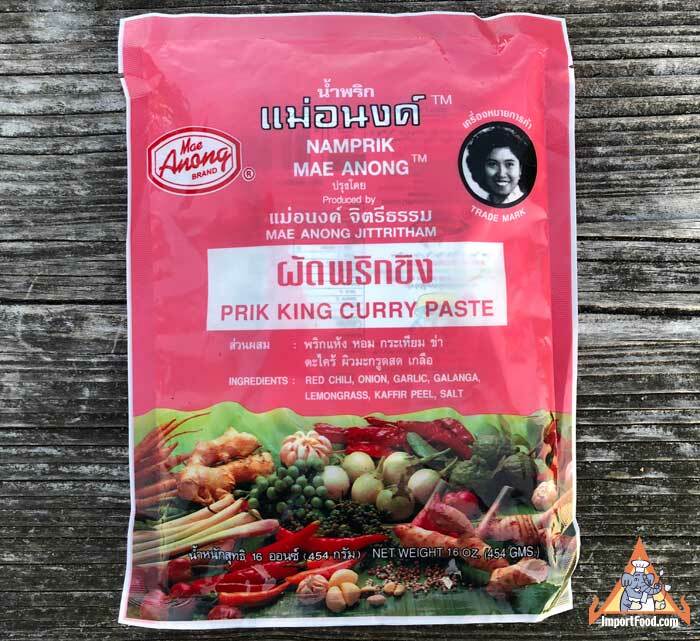 This is an all-natural curry paste from high quality producer 'Mae Anong', which was very popular among our customers for a few years but it we stopped carrying it until now, we've just received a new shipment, as fresh as can be. There's a recipe on the package, and we followed along to create the nice beef dish pictured below. 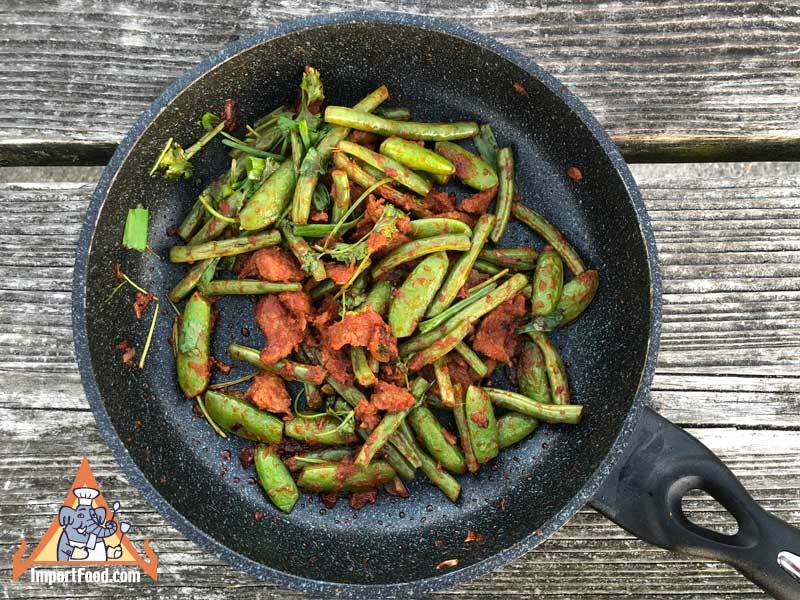 Fry two tablespoons of prik khing curry paste in a bit of vegetable oil, then add about one teaspoon fish sauce, followed with meat of your choice (we used sliced beef). 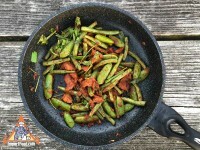 Cook then add green beans and other greens of your choice (we used sweet peas and cilantro). Serve with jasmine rice. 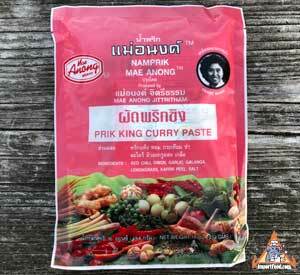 We also use this to make 'Nam Prik Ong', our Northern-Thai dipping sauce recipe. Also see our recipe for 'Todman Khao Pot' spice corn fritters. Ingredients: red chilies, onion, garlic, galangal, lemongrass,kaffir lime peel, salt. Product of Thailand.